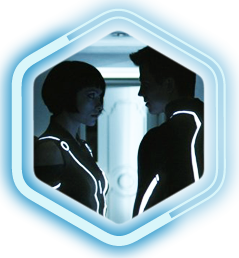 TRON: LEGACY is a 3D action-packed adventure set in a digital world unlike anything captured on the big screen. Sam Flynn (Garrett Hedlund), a rebellious 27-year-old, is haunted by the mysterious disappearance of his father Kevin Flynn (Oscar®- and Golden Globe®-winner Jeff Bridges), a man once known as the world's leading video-game developer. When Sam investigates a strange signal sent from the abandoned Flynn's Arcade -- that could have only come from his father -- he finds himself pulled into a world where Kevin has been trapped for 20 years. With the help of the fearless warrior Quorra (Olivia Wilde), father and son embark on a life-or-death journey across a visually-stunning digital universe -- created by Kevin himself -- which has become far more advanced with never-before-imagined vehicles, weapons, and landscapes and a ruthless villain who will stop at nothing to prevent their escape.